Welcome back to my b.liv journey here again on my blog! If you still haven't read it my previous review with b.liv O2 Bubbly Bright Oxygenating Mask, you can read my bubbly mask journey in here. Today blog is another one of their new mask collection, the Nano Bio-Cellulose Mask. There is total of 3 variants type of mask in this series. One box there are 4 pcs mask per box and each box cost RM129. Pronounced as “believe”, b.liv was established in 2009 and derived from a cosmeceutical brand. 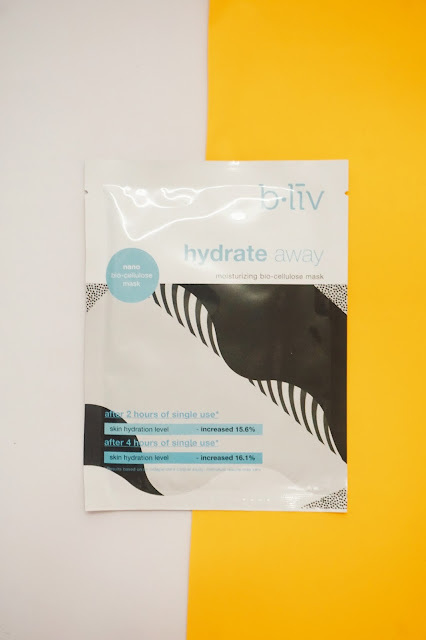 b.liv was created to cater to a strong demand for an easy-to-use and affordable personal skin care regimen. b.liv seeks to inspire and gives confidence to the youths of today in making a difference. Originated from a cosmeceutical brand, b.liv products are formulated in line with salon-based solutions. b.liv is the only skin care brand in the over-the-counter market to have undergone trials and testing in more than 200 professional skin care centers prior to placement in the retail market. Therefore, you will get the same treatment at home similar to those available in professional skin care centers. b.liv aims to bring its pore management solution and share knowledge with the masses. 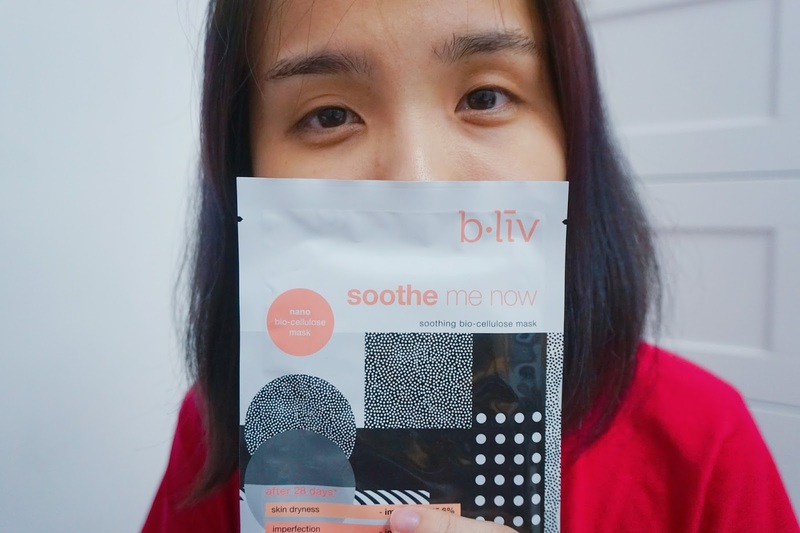 today, b.liv is a favorite in Hong Kong, Malaysia, Singapore, China, and many more countries. It's best at soothing our skin while repairing our skin, its also helps rejuvenating and gives the healthy complexion. This soothing mask contains organic immortelle flower that known as smoothing effect more than German chamomile and also more regenerating than lavender. This Mediterranean plant has remarkable longevity, it never fades even when picked. Not only that it also contains Acetyl Tetrapeptide-15, a soothing peptide which increases the skin tolerance and provides a soothing effect to reduce the sensation of discomfort. Hyaluronic acid which known to exist in every mask, it lubricates joints and keeps skin layers full of moisture. It holds water, 1000 times of its weight to keep collagen hydrated and promotes a youthful look. A youth preserving mask that gives intense firming and helps to reduce fine line. This mask contains palmitoyl hexapeptide-12 that actually acts like botox which relaxes visible tension lines while relieving stinging sensation and discomfort, thus helps minimize long-term formation of fine lines and wrinkles. 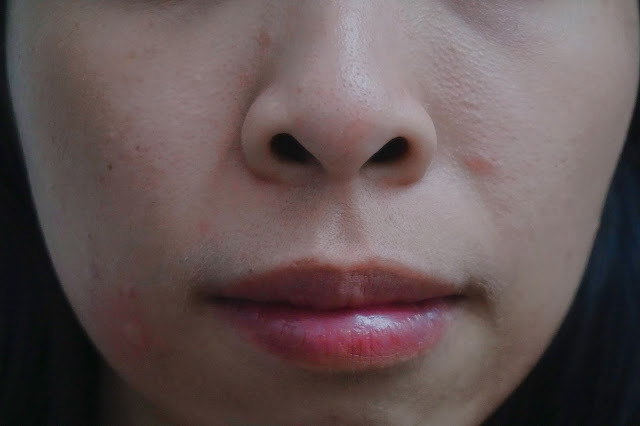 Palmitoyl tetrapeptide-7 that soothes and protects skin against oxidative stress caused by sugar, browned foods, alcohol, UV light, environment pollution, and stress. It helps intense moisturizing, revitalizing, and hydrating effect to our skin. 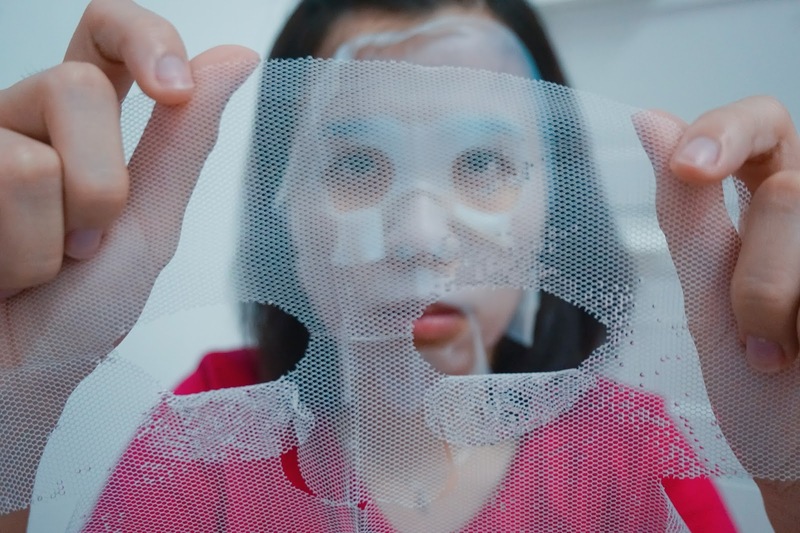 This mask contains organic algae which extract from the deep sea. These deep-sea microalgae extract laden with minerals and amino acids. It helps even out skin, firm, smooth and repair the skin. Rice Extract which is rich in amino acids and pro-vitamin B5. It keeps hold of water molecules hence contributing to the constant moisturization of the skin. 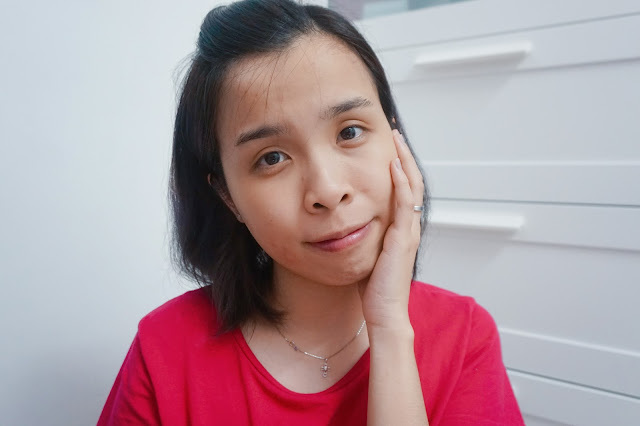 In this post, I will be trying the soothe me now mask as I am suffering some discomfort on my skin, with redness and acne mark around my skin. As usual, a little small pre-cut opening for easy open up the mask. I love how this bio-cellulose mask which is really thick and it's jelly texture. 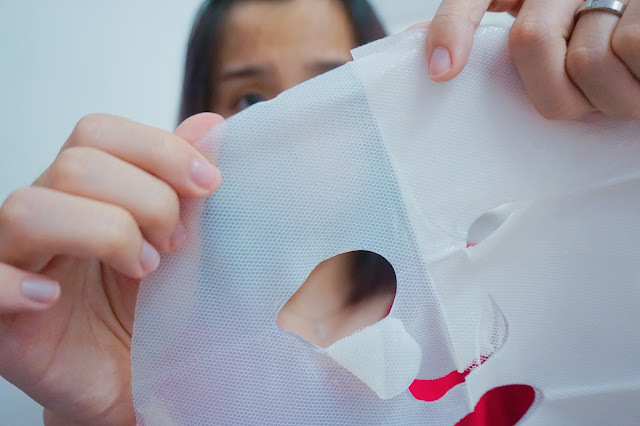 It also has 2 protective layers that help to lock the mask essence before we apply the mask. 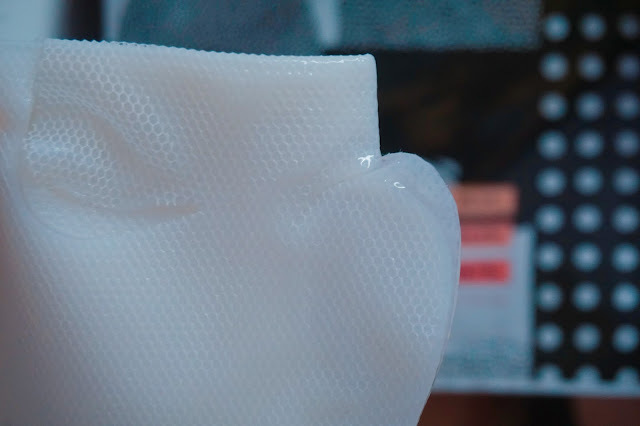 Bio-cellulose is a specialized nanoscale fiber structure that fits perfectly like your second skin. it serves as a high volume serum reservoir meaning it holds moisture while allowing air to transfer freely and skin can breathe better. 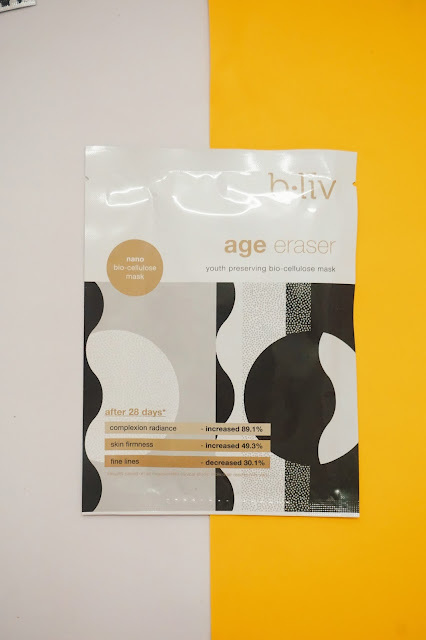 Not only that its 30 nanometers fiber increases extra contact surface area for crevices and wrinkles; maximizing the absorption of the face essence. With its jelly texture, it gives my skin a tight adhesion which allows the mask essence transfer its active ingredients deep into our skin layers. I can feel the mask are literally on my skin with its slight jelly and heavy texture on my face. The cooling effect from this nano bio-cellulose mask is really soothing and comfortable too. Which I really enjoy it! Redness around my nose area. 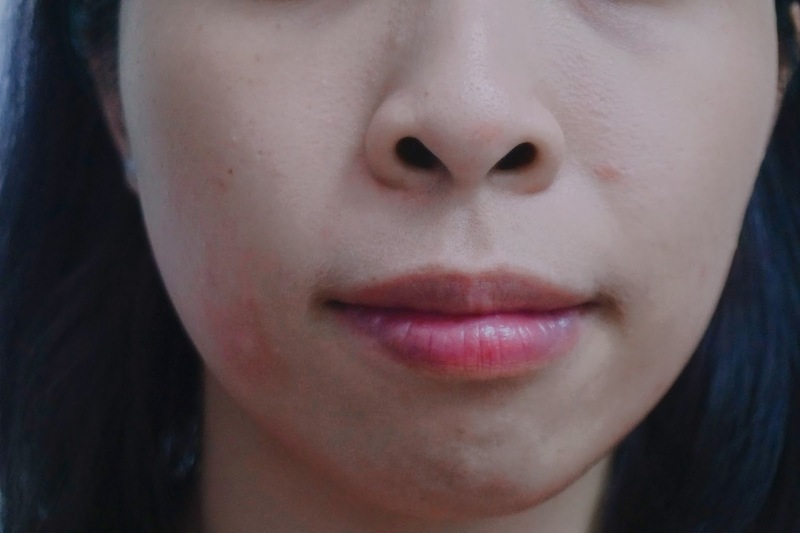 Sometimes when my skin is sensitive, it will have those small red bumps like mosquitoes bite around my face. 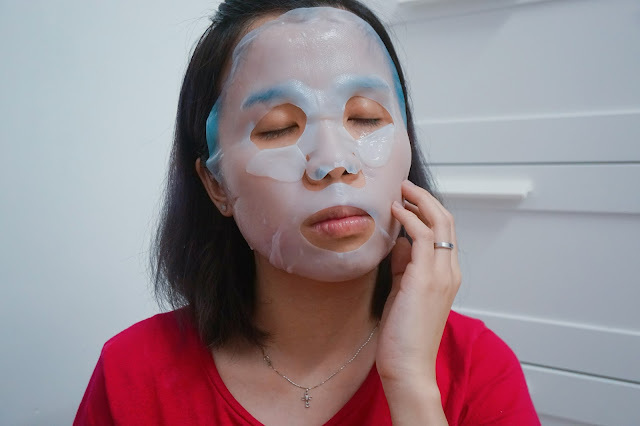 I can see the results of instant relief and soothing effect of the mask for reducing my face redness. I can feel my skin so much smoother and relieve as well. Overall results are pretty good, except that the moisture level of the mask is not really up to my expectation. However, I shall give this mask another try next time. I couldn't feel the mask essence on my face after removing the mask. Not sure it is because of me taking photos of the mask too long. Because I feel my skin are completely dry except seeing the redness reduce and smooth. I shall give the mask a try next time too. 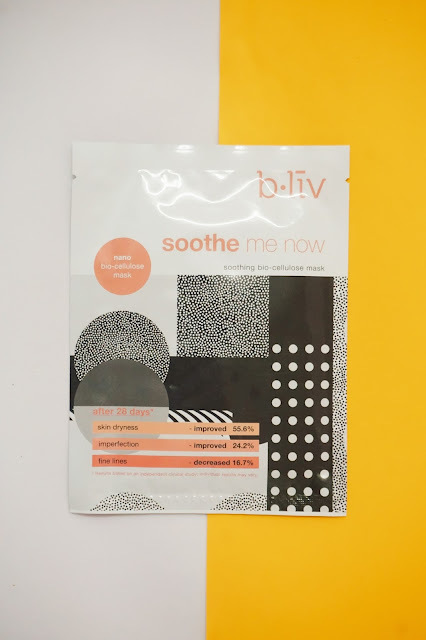 b.liv products are available at Sasa outlets and major online platform (Hermo, Lazada, 11 street and GEMFIVE). Not only that for all my readers that would love to buy and try out the products, you can use "SHARONLEE25" for a discounted price. 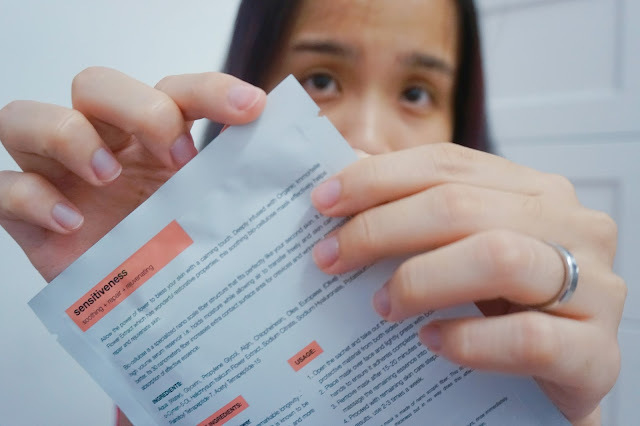 *Even though the product was sent for review purpose, however it doesn't affect my own opinion on this product. Nice sharing. I should head to Sasa now to grab and try out the mask. 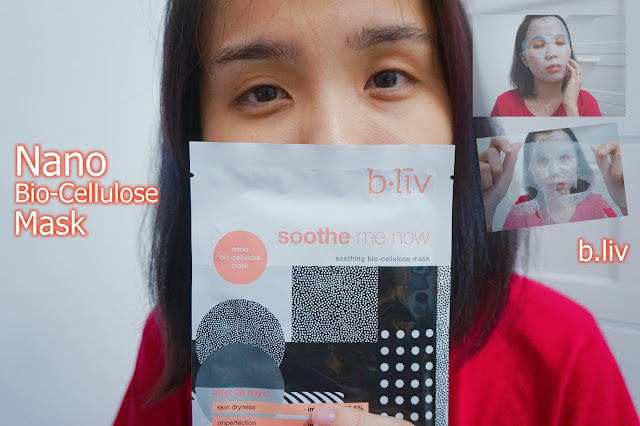 Hi...I use b-liv for reducing blackhead and pores. I heard their product for pores is really good too! I think u should apply moisturiser after u cleanse ur face with a water to protect ur skin from getting dry.. I love facial masks as well for a soothing, calming effect. There are so many different ingredients, it is difficult for me to keep up. Thanks for recommending cellulose mask. I need to try this! I love soothing mask too! Great find! Your skin looked better after using it. It's great that you offer a discount code for your readers. Kudos! The mask texture looks good! Unlike some mask sheets that is mostly cotton and not so comfortable on the skin. Ur before after has a bright glow to Ur skin. I am not a big user of masks but it looks like this could do a trick for my tired skin. I will definitely give this a try when I decide to buy a mask! Yes love it to max! One of my favorite brands, can't wait to try these new series. Yes dear you should try!